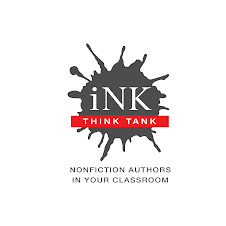 It was really interesting to read about the collaborative process for this book. It definitely sounds like the collaboration gave the author a better, more authentic product. 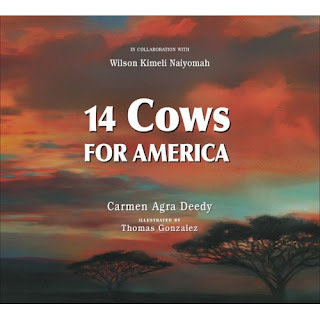 I was looking forward to reading 14 Cows for America before. Now I'm even more interested to see it. I don't know how I missed hearing about this story, but it sounds fascinating. My husband and I got to spend lots of time with with a number of Maasai warriors in Tanzania last fall, and cows are such an important part of their culture that the young calves live with Maasai families inside of their houses. That sounds like a really nice book. Being a fan of illustrated nonfiction, I'll have to read it. I'll bet the collaborator was honored to take part in the process. I remember hearing that story, and it brought both me and my sister to tears. That's when I joined Heifer International. I want to eventually donate the equivalent of 14 cows ($7,000) in repayment for that beautiful gift.